Absolute Services : What Causes Aircon Light Blinking Problem? What Causes Aircon Light Blinking Problem? Most people are not aware why their aircon light starts blinking. Although this is a prevalent problem experienced by thousands of people residing in Singapore, it isn't usually talked about. During the first time you experience the problem, you would most likely feel panic, confusion and stress. This is because most people do not know what it means and what causes it. 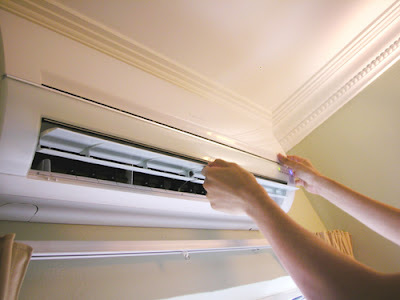 Air conditioners are an essential part of a home, especially for people who live in areas with extreme temperatures. When the air conditioner isn't performing properly, it usually causes a lot of inconvenience. Even if it's only a few minutes of having a malfunctioning air conditioner, it still causes people to get worried. This is why it's very important to be knowledgeable about what causes an aircon light blinking problem. Today, we will be discussing about some helpful information which will help you better understand what causes this problem. In a lot of these cases, people who have air conditioners with light blinking problems are faced with a much more complicated situation. Once the light starts blinking, it can cause the entire air conditioner unit to malfunction completely. This may cause higher repair bills which most people are not willing to pay for. The last thing you need is another problem on top of the already existing one. There are also very unfortunate cases wherein the air conditioner goes off before the technician reaches the location. It is common for Singaporeans to feel helpless, confused and stressed out. When you really want to resolve an issue but you have no idea how to fix it, it will make you feel very aggravated. To prevent this situation from happening, it's important to be able to identify the cause of the problem on your own. This way, you would have sufficient and accurate information to tell the technician when he arrives. Aircon light blinking problems are caused by various reasons. There are some which you could easily do on your own while others are more complicated and need the expertise of an HVAC technician. Let's take a look into the most common Causes of Aircon Light Blinking problems. When a refrigerant consistently has a low charge, it can cause the air conditioner's light to start blinking. This is a very common occurrence for units who are already old and have been used to its maximum ability. A temperature below 18 degrees will negatively affect the refrigerant. As a result, the air conditioner will start blinking and will release inadequate cooling temperatures. Leaking problems in the refrigerant is one of the most common cause of aircon light blinking. It cannot be easily resolved by just adding a new refrigerant. This is one of the circumstances where you will need the expertise of an HVAC technician. By hiring a person who knows exactly where to locate the leak and how to make it stop leaking, your problem will be solved more efficiently. After inspecting where the leak is located, the technician would usually fix it or add another refrigerant. 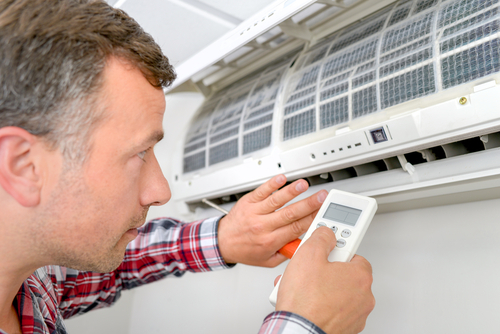 All air conditioner units need to be scheduled for regular checkup and maintenance. This ensures that it will be able to maximize its performance to its best capabilities. When you fail to have it scheduled for checkups, there is a much higher chance that you'll experience permanent problems. Having regular checkup and maintenance helps detect problems easily before it worsens. It's very important to allocate some time to do this because it will be for your own benefit. A loose connection is the most common cause of light blinking problems in air conditioners. It is usually caused by a tripped circuit breaker. It can easily be solved by having a replacement fuse for the breaker. The only step you have to do next is to reset it. If this doesn't solve the problem, you can also check for loose wiring connections in the unit itself. Although you may think that you can fix this on your own, hiring an experienced technician is the best option. This is because you might not be very knowledgeable about wiring and it could cause more damage to your unit. Even though you might think that hiring your local handyman is much cheaper than hiring an experienced technician, it could cause your air conditioner unit to require a replacement. A local handyman doesn't have the necessary tools, equipment and experience to install and fix your unit's problems. If you choose to hire one, keep in mind that his work may cause disastrous effects on your air conditioner. As a result, you will end up spending more money because you will need to buy a brand new unit. This is one of the types of aircon light blinking problems which definitely requires an experienced technician. It is the most complicated issues you may encounter which is why it's essential to hire a technician. When you allow circuit board problems to continue happening for a period of time, it could cause sudden breakdowns. 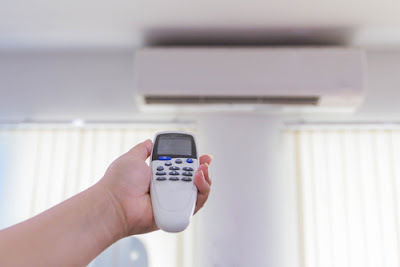 It is always very important to be very mindful of your air conditioner's behavior and performance. When you first discover that the aircon light is blinking, you should immediately switch off the circuit breaker. After a few minutes, you can try turning it back on. If the unit doesn't have any loose connection problems, it should turn on like normal. Having a purifying filter will ensure that your air conditioner always has fresh and healthy air running through it. It's a great way to ensure that you're breathing in clean air at all times. It also has plenty of health benefits. However, damaged or faulty purifying filters may cause light blinking problems. In relation to poor maintenance, failure to service the condenser can also cause light blinking problems. It is necessary to have it serviced regularly by an experienced technician. This is to ensure that the air circulation wouldn't be blocked. When the condenser isn't maintained properly, it increases power consumption which results in higher electricity bills. It is recommended to have your condenser serviced annually to prevent the problem from happening.